My buddies Michael and Andrew made the trip last month, and we climbed the mountain together! They’re both quite good photographers, so I didn’t even bother carrying a camera. 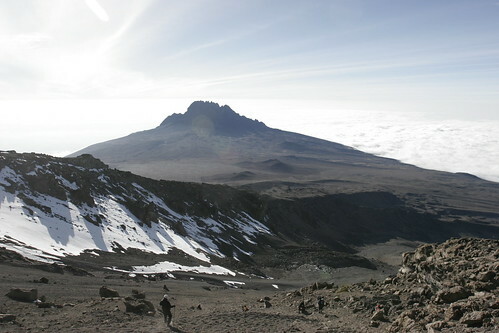 The shot above’s from Michael’s Tanzania photoset on Flickr, and Andrew’s are up (with hilarious comments) on his site. On the climb, you really come to appreciate the strength and tirelessness of the guides and porters—and to realize (machismo notwithstanding) that there’s no way you could make it up the mountain without all these guys carrying your stuff for you. 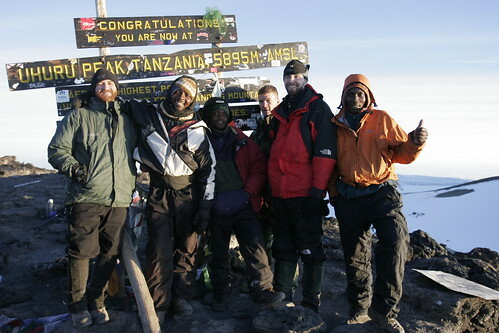 We climbed with Marangu Hotel, who take good care of their porters. Many, many companies don’t, so I’d encourage you to check out the Kilimanjaro Porters Assistance Project and lend a hand as you’re able.